MICA POT - Mica BONSAI>BONSAI pots are always dark brown and are made of 80% mica, 15% polyethylene and 5% graphite. They are ideal as training pots & for use with larger trees as they are a lot lighter than traditional clay pots and are virtually unbreakable. PALL WALTER (WEB PAGE) - Walter Pall is known worldwide for the quality of his BONSAI>BONSAI creations. 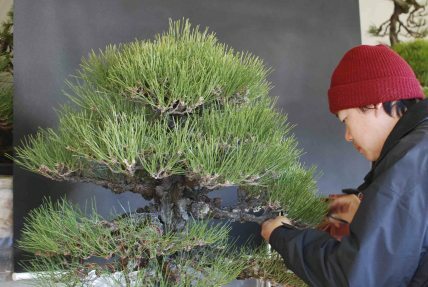 He has received several dozens national and international awards for his beautiful, dramatic bonsai. He has won the most prestigious Crespi Cup Award of Italy for his well known Rocky Mountain Juniper, and has come in among the top six, every time he has entered. He has also won second and third and other places places in the Gingko Cup Awards of the Belgium bonsai competition held every two years. Walter often is called a walking encyclopedia on bonsai and he shares his knowledge freely. Walter also loves to lead workshops where he sets the main focus on teaching the artistic side of bonsai. In the past years Walter has also established himself as the key moderator for international bonsai conventions. A specialty of Walter are his tree critiques which he calls 'tree inspiration'. PALMATE (OF LEAF VEINS) - Describes several primary veins diverging from a single point. PALMATE LEAF - Leaf comprising leaflets or lobes radiating like outstretched fingers from a central point. 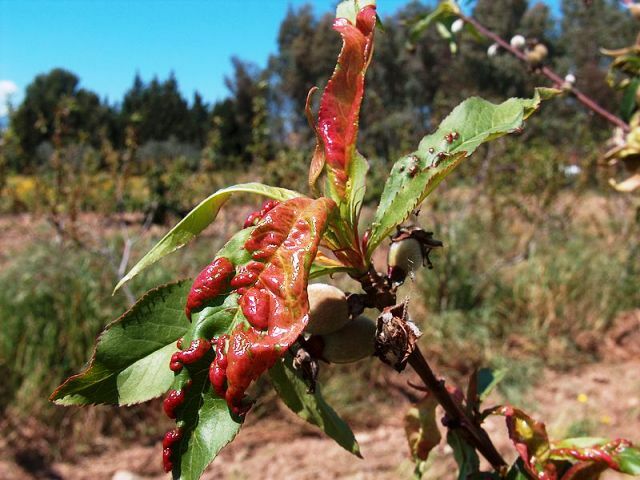 (Send Image) PARATHION - This is a potent insecticide and ACARICIDE. It was originally developed by IG Farben in the 1940s. It is highly toxic to non-target organisms, including humans. Its use is banned or restricted in many countries, and there are proposals to ban it from all use. (Send Image) PARVIFOLIUS - Small leaved. PEACH LEAF CURL - This disease which causes leaf damage and so weakens the tree, is limited to a few "Prunus" SPECIES (including Hawthorn - a popular BONSAI>BONSAI species). Signs are reddish brown blisters on LEAVES which grow bigger and turn white whereupon the leaves distort, discolour and drop off. The FUNGUS can survive over winter in the BARK and bud scales. Treatment is application of a copper FUNGICIDE spray before bud break and again just before leaf fall. PEAT - Peat is made up of partially decayed plant material, usually in wet areas. It is composed mainly of wetland vegetation: principally bog plants including mosses, sedges and shrubs and has been used extensively as a GROWING MEDIUM/soil improver for many years. The commercial extraction of peat at existing rates is considered by some people to be environmentally unsustainable as it removes peat at a much faster rate than it accumulates leading to the irreversible destruction of peatlands. This premise however has been challenged by a number of sudies. Read More. 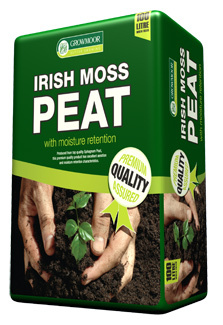 Many viable peat alternatives exist which are either completely peat-free or of reduced peat content. However many plants have evolved to grow in a peat environment e.g. AZAlea (Rhododendron) and growers find that growing seeds or CUTTINGs in peat is a necessity. Peat is often used as a constituent part of a BONSAI>BONSAI soil mix where an organic component is desired. EDATE(LEAF)>PEDATE (LEAF) - Palmate SHAPEd lobes between heavy indentations. Distinguishable from "Lobed" shape by the sharper, narrower lobes. PELTATE (LEAF) - Leaf SHAPE where the stem emanates from the centre of the leaf surface rather than the edge. BONSAI>BONSAIGROUP>PENICUIK BONSAI GROUP - Club :Penicuik. Convenor - Dave. Tel No - 0131 258 1936. Meetings - Second Tuesday of the month 7.30pm. (Send Image) JING(CHINESE)>PENJING (CHINESE) - Penjing is a Chinese term which means roughly the same as BONSAI>BONSAI (plant in a container). Penjing appears to cover a wide range of styles which developed in China 1,500-2,000 years ago. During the Chin dynasty (221-206 BC) China and Japan started to make social and spiritual contact when Buddhism was introduced into both countries. It appears that many Buddhist priests encouraged the ceremonial use of potted plants as part of religious rituals. The precision and attention to detail that applied to the art form was then developed and improved by Japanese practioners. PERFOLIATE (LEAF) - Where the stem appears to penetrate through the leaf and continue on. BONSAI>BONSAIGROUP>PERTH BONSAI GROUP - Club : Perth. Meetings - First Wednesday of the month (not Dec,Jan). BONSAI>BONSAI>PETER TEA BONSAI - SHARIng experiences as a Bonsai Artist and Instructor. Located in San Jose, California and working all over the United States. The purpose of this blog and website is to share some learnings in Bonsai and to keep in touch with the ever growing bonsai community. Posted articles include individual Bonsai projects along with helpful tips and techniques for those seeking information in improving their own skills.